It’s been a long time coming but in a little over 24 hours, Volvo will be launching the new generation of its most popular SUV, the XC60, in India. The new XC60 sports the same design language echoed by all cars in the Swedish company’s lineup and though it looks rather similar to the flagship XC90 SUV, it is still quite different. The waterfall grille up front is flanked by sleek-looking “Thor’s Hammer” DRLs on either side with all-LED headlamps. The design on the side is clean and minimalistic. The doors extend almost all the way to the underbody while the sleek taillamps are distinct to the XC60. The car sits on 19-inch wheels that grab attention without being overbearing. The cabin too features a layout similar to other Volvos. It’s an ergonomic setup with the Sensus infotainment system taking centrestage on the dash. The whole cabin is upholstered in Nappa leather and features typical Volvo touches and attention to detail. The seats are heated and ventilated and get massage function as well. In addition you also get 4-zone climate control and a 15-speaker Bowers and Wilkins speaker system. In terms of dimensions, the new XC60 is 44mm longer, 11mm wider and 55mm lower than the outgoing car, and features a wheelbase that is longer by 91mm as well. The engine powering the XC60 is a 2.0-litre 4-cylinder turbocharged diesel engine equipped with PowerPulse technology and making 235PS of max power and 480Nm of peak torque. The engine is mated to an 8-speed AISIN gearbox which sends power to all four wheels as AWD comes standard. In terms of safety the XC60 is equipped with blind-spot detection with cross traffic alert, lane keeping aid, dynamic LED headlights that turn as the steering does, all-round parking sensors, an action cam-quality 360-degree camera and radar-guided cruise control. Of course, front, side and curtain airbags along with anti-lock brakes, stability and traction control also come as standard. 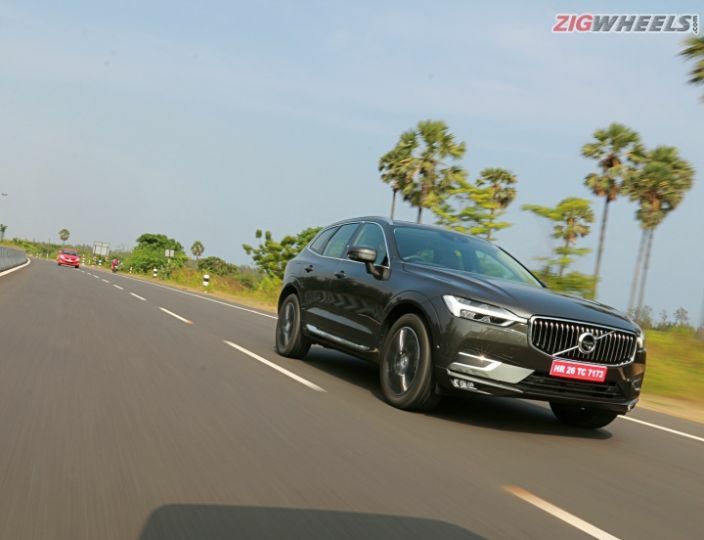 The prices for the XC60 are expected to start around Rs 55.0 lakh ex-showroom India, and the Swede will go up against the likes of the BMW X3, Audi Q5, Mercedes-Benz GLC and the new Lexus NX 300h. Share your experiences with XC60?